Today’s Tuesday Top Five is inspired by this past Friday’s release of the highly anticipated newest Pixar release of Inside Out. The film follows the five main emotions (Joy, Sadness, Anger, Fear, and Disgust) of a young girl’s mind and how they help her through the challenges of moving to a new city. Even though I am in my early 20s, I still love to see what fun and new animated films Pixar will bring to the table as their story-lines are always relatable to every age! 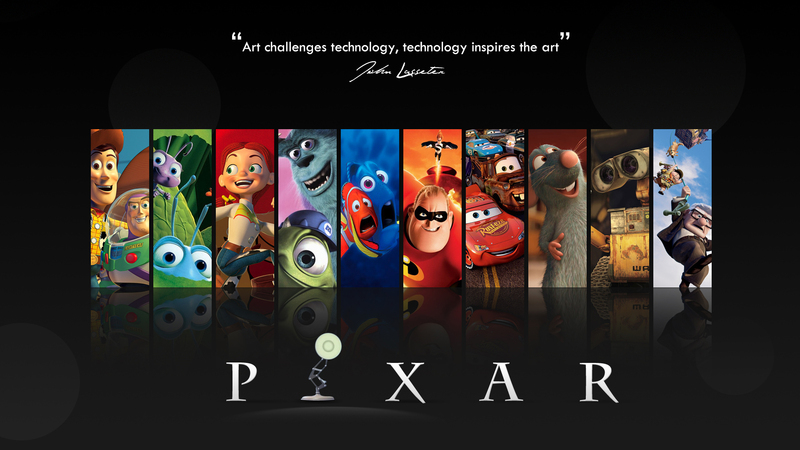 Therefore, the following list features a few of my favourite Pixar films from both my childhood and teenage years. Finding Nemo is hands-down my favourite animated film of all-time because I love a good adventure story, Ellen DeGeneres as Dory is gold, and I quote lines from it on a weekly basis. The film follows an overprotective clownfish named Marlin (Albert Brooks), and a regal tang with short-term memory loss named Dory as they swim their way across the sea to find his son Nemo (Alexander Gould), who was abducted by a scuba diver. 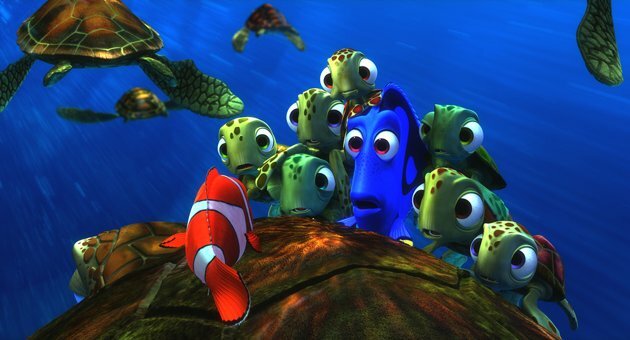 A side-plot follows Nemo as he learns to adapt and socialize with the scuba diver’s other fish. Nemo and the ‘Tank Gang’ spend their time planning their escape, while Dory and Marlin go on an adventure involving sharks, sea turtles, a pelican, and many other friendly and not so friendly characters. Overall, it is an excellent film fit for all ages as it reminds us not to be afraid to take risks and to allow others to learn and grown on their own terms. Toy Story is the perfect buddy-comedy adventure trilogy featuring all-stars Tim Allen and Tom Hanks in the roles of Buzz Lightyear and Woody. The original & sequel will always be classics for me, but I couldn’t have been more thrilled when they released the third film back in 2010. These films focus on the lives of Andy’s toys and the adventures they take when they aren’t pretending to be inanimate objects. Woody is Andy’s favourite and he’s also the leader of the band of toys, so he is threatened by the brand new space-ranger action figure when Buzz first arrives. However, throughout the original and the sequel the two learn to work together and eventually become the best of friends. Lastly, the third film pulls at our heartstrings as the toys are accidentally taken to a day-care centre before Andy leaves for college. Therefore, Woody and the gang muster up their courage to band together in an attempt to make their way home. Monsters, Inc. features the hilarious combination of John Goodman as James P. “Sulley” Sullivan and Billy Crystal as Mike Wazowski, who are two monsters that are best friends and work together at a scaring factory. Sulley is the top scarer and Mike is his partner in crime, as the duo put everyone else to shame by helping to generate the most power for their city of Monstropolis by collecting the screams of scared children. However, the monsters are warned and trained not to touch anything in a child’s room for fear that their world could be contaminated. The story takes a huge turn once a child sneaks into Monstropolis! 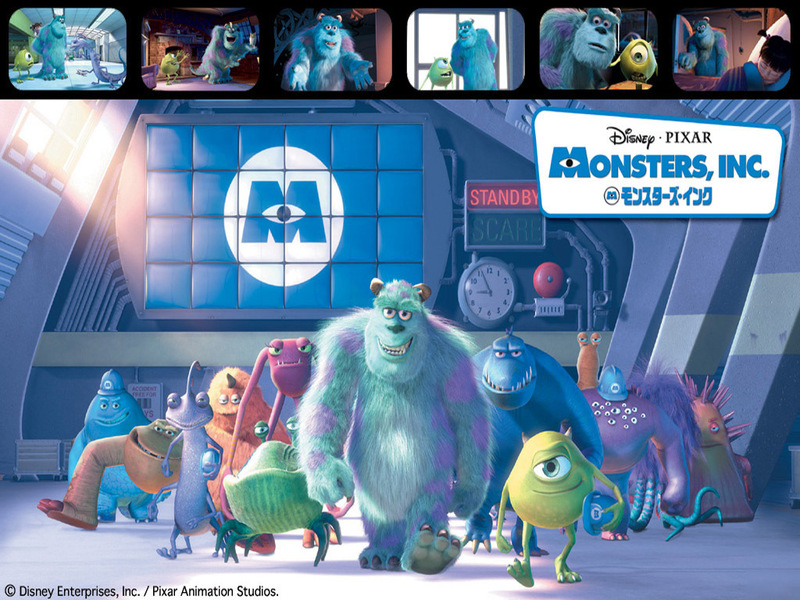 Mike and Sulley spend the rest of the film trying to return Boo to her room before anyone finds out. This is such a classic staple of my childhood, and I can’t help but love the sarcastic tone that Billy Crystal portrays as Mike throughout the film. Monsters University is the perfect sequel as Mike & Sulley work there way through the trials and tribulations of college life. Also, the Oozma Kappa group of misfits are absolutely precious and they add the perfect doze of comic relief. 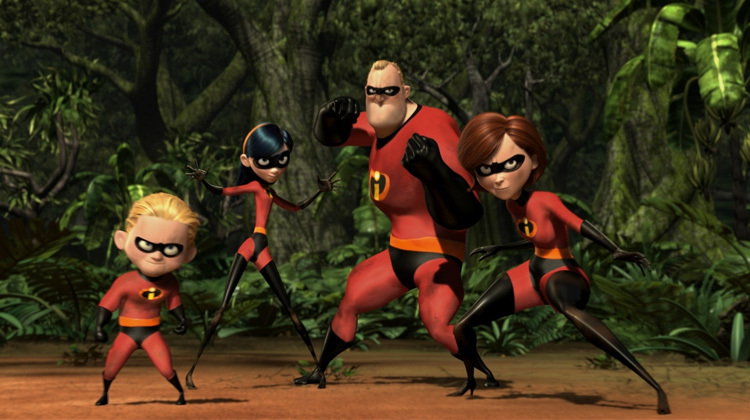 The Incredibles seamlessly combines animation with family values, superheroes, comedy, and action! The film takes place in a world where ‘supers’ – humans who have superpowers – have been forced into hiding after being sued for the damage they caused in their attempts to fight crime. After 15 years of isolation, Bob Parr (Craig T. Nelson), a.k.a. Mr. Incredible, becomes unsatisfied with his boring job and suburban life, so he seeks out danger. As a result, he attracts the attention of a mysterious woman who sends him on a secret mission to destroy a rogue robot. Bob’s wife Helen (Holly Hunter) and the rest of the family are kept in the dark about his secret missions and they are subsequently put into danger. Therefore, the entire family has to fight together in an attempt to defeat a super villain who is trying to destroy their city. There are several hilarious scenes throughout, but both costume designer Edna Mode and Lucius Best (Samuel L. Jackson), a.k.a. Frozone, complete the film for me. Cars is an excellent representation of Pixar because it has fun animation for children but it has hilariously witty jokes for their parents and other adults looking for a good laugh. Lightning McQueen (Owen Wilson) is a selfish race-car obsessed with winning the legendary Piston Cup Championship, so he doesn’t care who he harms in the process. After pushing his truck Mack to travel all night, Lightning ends up falling of his trailer and finds himself in a beaten-up old town called Radiator Springs. Lightning is arrested for tearing up the main road and is given community service of having to repave it before he’s free to go. After meeting town attorney Sally Carrera (Helen Hunt), he begins to take a new look at the small town and its loyal companions, which also includes an overly friendly tow truck named Mater (Larry The Cable Guy). It’s great to see how Lightning’s character develops throughout the film, and I can’t help but laugh uncontrollably at the outrageousness of my favourite character Mater’s lines. I have failed the Pixar community and have not yet seen Brave or Up … I know, I know, shame on me … but I decided that this Top 5 should truly represent my childhood and teenage years as they have been my favourites the longest! 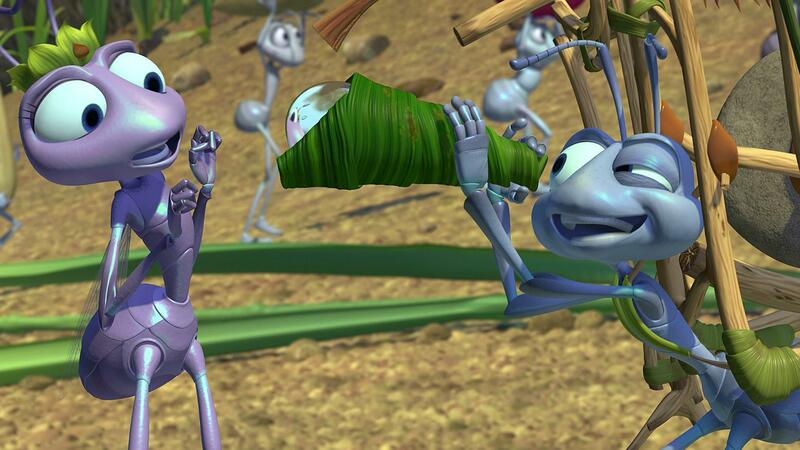 Therefore, I had to mention A Bug’s Life because it is a classic that just missed making the list. Bonus: if you don’t know already, there is a common theory that the Pixar films all exist in the same universe during different time periods. If you haven’t heard of this theory or you want to learn more about it, click the link below for a cool website that explains everything about it!